Home automation represents an unprecedented leap forward in features that are both practical and innovative. The average cost of installing a home automation system is just over $1,200, and it can increase your home value by as much as 5 percent. With home automation and smart home gadgets, you can stay connected to your home no matter where you are. You can control temperature, climate, lighting, locks, security, and other features from a single device, usually a smartphone or tablet. A home automation system can also add significantly to your property value. Outdoor living and entertaining are important to a gracious lifestyle, particularly if you happen to live in a warm weather climate. 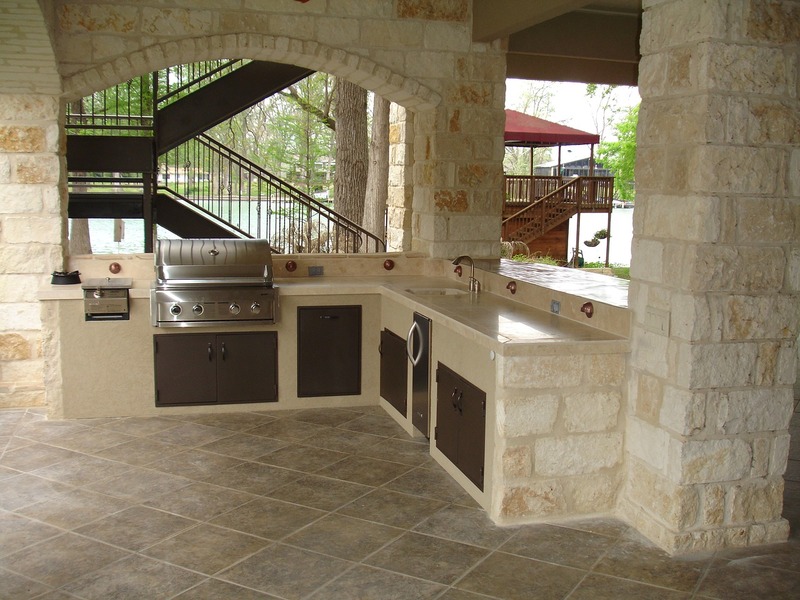 There’s no need to worry about upgrading your barbecue when you can put in a full outdoor kitchen alongside the fire pit, swimming pool, or hot tub. The idea of extending the beauty of one’s home decor out under the stars is very popular among upscale homeowners these days. This can mean anything from a built-in grill and sink to a fully kitted-out food prep and dining area. That means extending the beauty of your home’s interior onto the patio and into the backyard. You can also brighten your home and add a touch of elegance to the patio with a set of french doors. You can add a degree of elegance and convenience to your kitchen with appliances designed with sleek beauty and a host of new features that make it easy to prepare a memorable dinner. Wall ovens put your cooking needs at eye level and eliminate the need to bend over repeatedly. What about those old countertops? If they’re starting to look old and worn, consider replacing them with counters made of exotic woods such as zebrawood, African mahogany, or teak. One of the most striking upgrades you can make in the bathroom is to replace a traditional bathtub with a freestanding stone resin bathtub, an increasingly popular choice among homeowners who want their bathrooms to make a statement. Floating vanities, radiant heat flooring, and frameless glass showers are excellent upgrades if your objective is a bathroom that’s luxurious functionally as well as aesthetically. If your bathroom tends to be a little too cold in the morning, consider adding heated towel bars so you don’t have to shiver when you exit the shower or bathtub. The best upgrades are those that combine visual beauty, functionality, and efficiency. Technology has integrated these three features in many exciting ways that will enhance your home and add significant value. Upgrading your home will repay and reward your investment in many ways. ← The Top 3 Cheapest Ways You Can Increase the Value of Your House Before You Put it Up for Sale.